Why Granite is Great for Your Fireplace – Mees Distributors, Inc. When installing a fireplace, regardless of the type you choose to install in your home, there are several choices you will need to make including the materials you will use. There are several materials and options to choose from such as brick, marble or granite. Although each of these options are great, several benefits come with using granite that you can’t get with other materials. Here are three of the benefits you can expect when you choose granite for your fireplace surround. 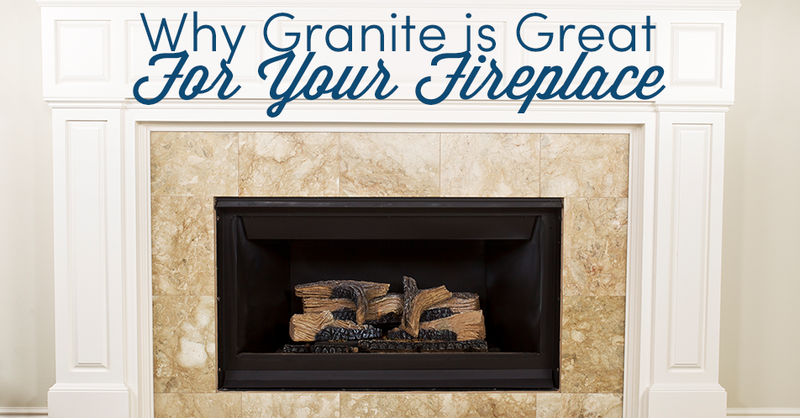 One of the best benefits of using granite for your fireplace is its durability. Granite is a natural stone that can withstand extremely high temperatures, making it an ideal choice. With proper care, it is resistant to staining and normal wear and tear, so it is virtually scratch resistant, and it will not chip or dent as easily as other materials, such as brick. Another great reason to consider granite is the natural charm it provides. Granite can be used in a wide variety of design themes, ranging from elegant and classy to cozy and laid-back. The natural look of granite makes it easy to incorporate into almost any design, and the smooth stone means it is easy to clean, so you won’t have to worry about dirt, dust and soot being a distraction while you are sitting in front of a fire. Because granite is a natural stone, each piece will be unique. At one time, granite was only available in dull, gray or muted shades; however, it is now available in a wide variety of colors and styles. When choosing the color, it is best to choose the shade that you are first drawn to and design the rest of the space around your fireplace, making it the focal point of the room. A fireplace should make a statement, so choosing a unique shade or a piece of granite that has varying depths of color will provide you with a unique, one-of-a-kind fireplace that truly stands out. When choosing the granite you want to use, always buy from a reputable distributor. A company that is well-versed in using granite will have the knowledge and experience necessary to assist you in choosing the best color, shape and design for your home. If possible, try to get a few different samples to take home. This will allow you to view the colors you are considering in your home’s particular type of lighting. Our showroom has the perfect granite slabs for whatever project you need to finish! Stop by and visit us at Mees Distributors, Inc. today to view our available options and get started on designing your fireplace surround.